10% Off Autumn Price FALL! 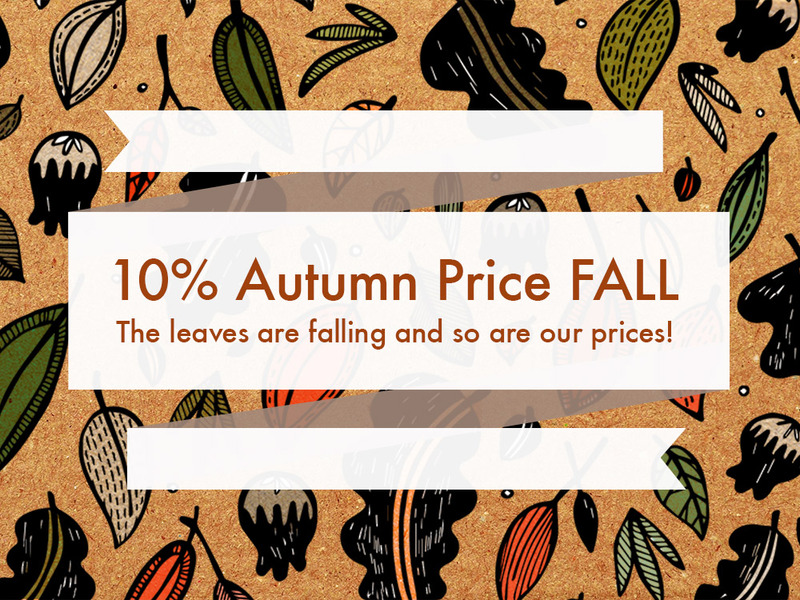 The leaves are falling and so are our prices! For a limited time only you can benefit from 10% off a wide selection of our products. Discount has already been applied to the products applicable so all you have to do is find what you’re looking for and pay. It really is that simple! Maybe it’s time to upgrade your coop to a warm and cosy Eglu? Or how about a Qute Hamster Cage ready for Christmas Day? Whatever takes your fancy, now is the time to buy, hurry before the offer ends! Terms and conditions: Offer is valid from 17/10/16- midnight of 24/10/16. Discount has already been applied to the products when you order. Omlet reserves the right to withdraw the offer at any point. Discount is only applied to a selection of products. Excluding Walk in Runs and Outdoor Pet Runs. Discount cannot be transferred to delivery, gift cards or courses. Offer is only valid on fully priced items and cannot be used on existing discounts or in conjunction with any other offer. 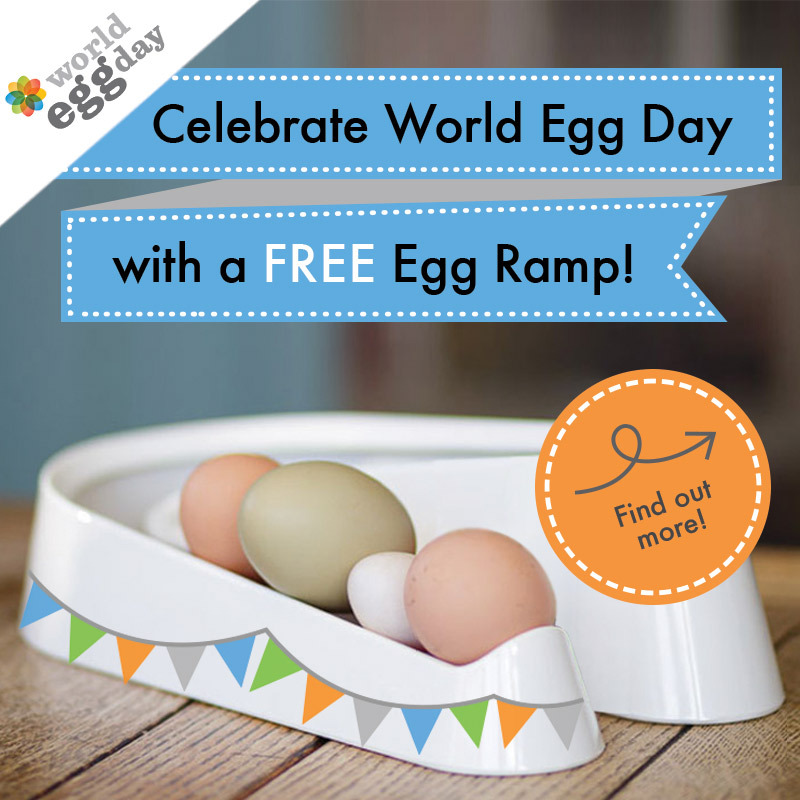 Celebrate World Egg Day with a FREE Egg Ramp! To celebrate World Egg Day we are offering you a Free Egg Ramp with any purchase over $10 in the Omlet store for one day only. Offer ends at midnight tonight (14/10/16) so make sure you don’t miss out. This modern egg holder will keep your eggs organised and at room temperature so they are always on hand for baking. Every time your hens lay a lovely egg, simply add it to the shiny melamine Egg Ramp™. When it comes to using them, always use the one at the front first, which will be the oldest – no more guesswork. At only 15cm deep it looks sleek and it won’t take up much space on your worktop. Terms and Conditions: You are only entitled to one free ramp per customer, Purchases must be over $10. Omlet reserves the right to withdraw the offer at any point. Colours of ramp will be selected at random. Codes may not be redeemed after 11.59pm 14/10/16.